The Chrysler Pacifica is the perfect combination of functionality, versatility, and technology on wheels. Parents and kids alike in Palestine, TX will love the Pacifica. Come by Elliott Chrysler Dodge Jeep Ram Fiat Palestine today. Sometimes the word minivan can bring on that ‘ugh’ sound, but not when that minivan is the Chrysler Pacifica. The Pacifica was designed to make life easy for mom and dad and fun for all. It is functional, fun to drive, and full of technology designed to entertain and excite. Stop by Elliott Chrysler Dodge Jeep Ram Fiat Palestine and take a test drive in this family-friendly and fun-to-drive minivan. The Pacifica was designed with parents in mind. Do you have little ones in tow that not only spill their juice boxes but their cheerios too? Maybe you have French fries or crackers stuck between the seats. No problem! The Pacifica’s Stow ‘N Vac lets you clean up those messes with ease and the leather surfaces make wiping up spills simple. Enjoy versatile seating arrangements with the Stow ‘N Go seating that fold flat into the floor, giving you endless cargo configurations. The Easy Tilt second-row seats allow easy access for third-row passengers to easily slip in. Mom and Dad will love the heated and ventilated front seats so no matter how loud it gets, you will always have the perfect temperature. Multiple cup holders, map pockets, and storage bins give you many options to store your goodies while on the road. The Chrysler Pacifica was built for kids too. There are so many features for your little ones to love. For starters, it is spacious so they don’t have to touch each other and create a sibling war. The Uconnect Theater gives endless entertainment options for hours and features dual 10.1-inch HD touchscreens, Blu-ray player, HDMI inputs, remote control, wireless headphones, and downloadable games and apps. SiriusXM Satellite Radio gives everyone the opportunity to listen to the favorite tunes so when the kids want to hear Disney Radio they can, then dad can listen to Hair Nation and rock out for hours. There is so much for everyone to love in this do-it-all minivan. 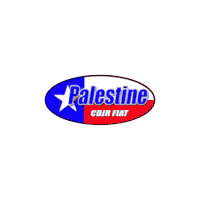 Stop by Palestine Chrysler Dodge Jeep RAM Fiat and take it for a spin. Safety is always on the minds of parents today. We would bubble wrap our kids and send them out if it was socially acceptable because we want to do everything we can to protect them when we can. The 360-degree Surround View Camera allows you to make sure all is clear before your departure, while the Forward Collision Warning with Active Braking helps you to avoid a collision if you become distracted by the kids in the back. Parking Assistance is there to help make sure you can fit in tight spots without hitting anything around you and Parallel and Perpendicular Parking Park Assist makes parking your Pacifica easier than ever before. For a list of all of the advanced safety features visit our dealership and our experts can explain them all in detail for you. From listing our inventory online for you to browse to giving you all the tools you need to make an educated buying decision, Elliott Chrysler Dodge Jeep Ram Fiat Palestine has you covered. Value your trade, view the window sticker and get pre-approved for financing and more all from the comfort and convenience of your home. If you don’t find the Pacifica you are looking for in the color, trim, and options you want, we can find it for you. We want you to have the best buying experience possible so we will work tirelessly to earn your business and ensure you leave completely satisfied. Come down today to get started.